Mount Ophir is commonly referred to as Gunung Ledang in Malay. The mountain is located in the national park Gunung Ledang and is between the borders of Johor state and Malacca. The mountain rises to a lofty height of 1276 meters. Apart from being a great destination for the climbers, Mount Ophir also offers beautiful scenic views, diverse flora and fauns, and other natural beauties. In fact, the mountain is considered as being one of the richest flora species all over the world. The Puteri Waterfalls (puteri means queen in Malay) on the mountain has a height of fifty meters. If you are lucky, you will come across giant butterflies in bright colors. The entrance to Mount Ophir is rather simple and shows the preservation of the naturalness of the place. A wide road is lined up on both sides by trees to keep the atmosphere pleasant and soothing. 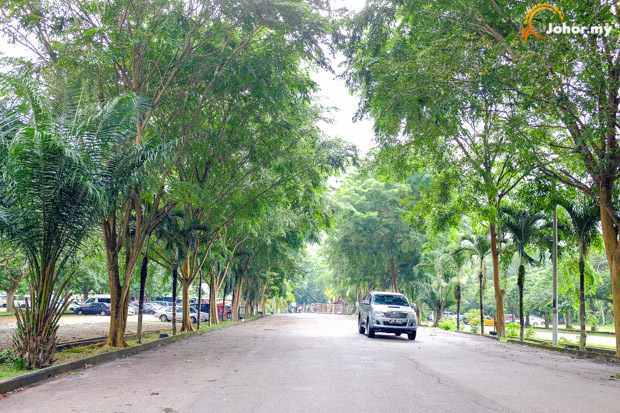 Before entering into the habitat, you’ll pass by Gunung Ledang Resort with a big car parking space. Beyond that, you’ll be surrounded by the trees and pools of water that preserves the rustic setting of the place. The walking path that leads to Mount Ophir has been carved out of stones and retains the natural setting. It is family friendly and safe to take a walk here. Narrow lanes have been cut out amid the dense woods. The mountain is rocky in nature which is suggested by the steps that have been cut out of it to take the visitors to the peak. There are big rocks and boulders are common scenes that add to the beauty of the place while you are on the way up to the Puteri Waterfall, which takes only about 20 minutes to reach. 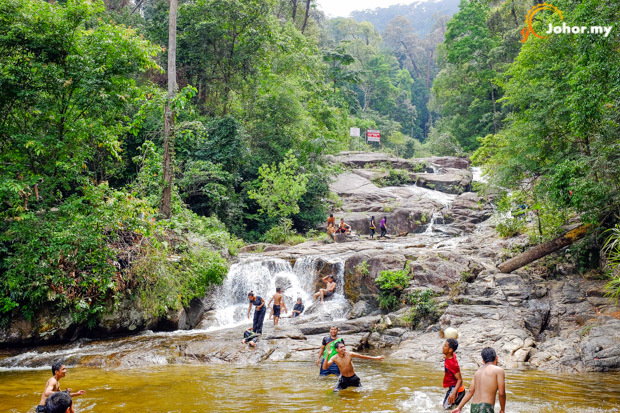 Stood at 50m, Puteri Waterfall is elegant and makes its way down into the pool through the woods. Though it is not advisable to enter into the waterfall due to flash flood, some visitors can be seen climbing up and enjoy getting the water splashed on their body. Moving up about 50 meter, you’ll see another waterfall that is majestic and is wider that the first. The water gushes down at a greater speed and the visitors crowd here more than at the first waterfall. The pool is bigger here too. This is where the paved road ends and the real climbing starts. If you are not familiar with the topography of the mountain, it is not advisable to climb the mountain alone.